Within the $2 trillion global creative industry, short-term space rentals for location shoots see over $4.7 billion spent each year in North America alone. Although interest in short-term rentals for the creative industry exists, this sector is curiously underserved. Creative spaces have become more prominent among startups across North America, especially with the growth of WeWork, HiVE, and more. But now, this interest is expanding to facilitate individuals who work in film and need to rent space for a couple of days, or photographers, who may only need an hour. This type of rental is also very flexible and would not require a long-term lease, which is what makes it desirable. Unfortunately, finding these creative spaces can be frustrating, especially when individuals don’t know where to look, have a limited budget, or experience scheduling conflicts. Looking to tackle this industry and offer more space options for creative professionals is Spacefy Inc (CSE: SPFY), a Toronto-based company and solutions provider. 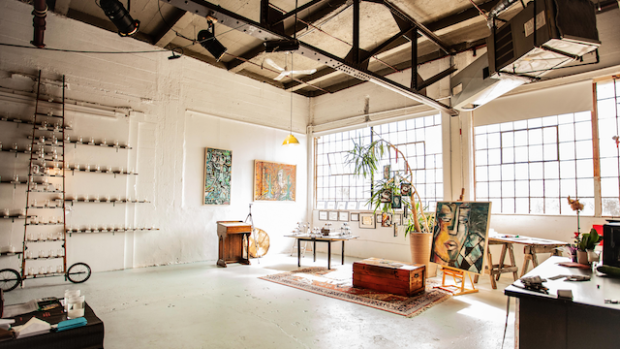 Referred to as an Airbnb for creative spaces, Spacefy is primarily driven by two key focuses: harnessing space for profitable use and creating earnings opportunities for space owners and creative professionals by connecting them with one another. By allowing people to capitalize on the sharing economy, they are then able to make extra money by renting out their spaces. Moreover, the choice of hourly rates and booking times give space owners the ability to rent their space multiple times per day. Spacefy is managed by a team of experts whose initial focus has been on curating spaces, seeking both breadth and quality, with an emphasis on inspiring, unusual and unexpected spaces. Creative professionals may need any type of location, so Spacefy features everything from residential spaces – from mundane to spectacular – to every kind of commercial, retail and industrial space. "Airbnb has led the way, and now we’re seeing numerous niche players for commercial space rentals who are doing exciting things. That’s a nice wave to be part of." — Russ Patterson, CEO, Spacefy Inc. The company’s interactive online platform gives users the selection and transparency they need. The fact that Spacefy's model is catching on, attracting and retaining customers, is a result of the company’s commitment to delivering indisputable value and game-changing convenience. Spacefy bases their approach on the growing organic adoption seen on their platform. 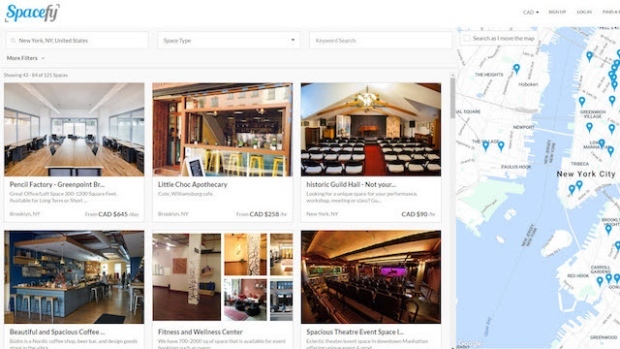 Today, Spacefy views each organic visit, search, booking inquiry and rental transaction created to be a vote, which is an indicator that there’s a gap or need in that marketplace that led those users to search online and find Spacefy. Patterson, a former COO of eBay Canada, is no stranger to the importance of customer satisfaction in growing and maintaining a business. Now in a new ball game dealing with creative business spaces, Patterson is proud of the progress Spacefy has made under his stewardship, with over 3,500 spaces listed on the platform. Attracting more creatives is always going to be one of the company's most important objectives. "For our next phase of growth, we are trying to learn as much as we can from creatives and space owners and the transactions that happen on our platform so that we can find more ways to delight and amaze our customers," he says. Spacefy is continuing to supplement its inventory in its strongest areas of Toronto and New York, while in the second tier, it is growing in cities such as Los Angeles, Atlanta, and Vancouver. In the third tier, the team is prospecting and developing the wave of locations that will follow. "We have a few listings that are coming in from Europe and Latin America, but for the most part, these are happening organically. Those are exciting markets for us too, but our focus is chiefly North American for the time being," says Patterson. Without any physical presence except their headquarters in Toronto, Spacefy functions as an online marketplace that encourages space owners to be entrepreneurial and connects them with people who need these spaces in a speedy, efficient, and cost-saving manner. However, as Patterson and fellow executive, Judeh Siwady, Spacefy Co-Founder and former CEO, think ahead to Europe, there is much to be intrigued by, although the company’s primary mission is to continue growing its North American presence. "The product platform part of the equation is familiar ground for me after 15 years at eBay. We will be ready to serve customers in multiple languages and currencies, and support cross-border use cases," Patterson says. The company’s recent milestones include being actively traded on the Canadian Securities Exchange since November 2018 and completing an additional private round of financing. Spacefy is also trading on the Frankfurt Stock Exchange and is working on making its shares available over-the-counter in the United States. Additionally, in early 2019, Spacefy was accepted into the new Toronto location of a well-known global incubator program, which is helping the team accelerate toward their business goals. With access to additional mentors, advisors, and investors, the company has found itself in an ideal situation to skyrocket its team to success. "It turns out that a space inventory that helps creative people also helps ordinary people do ordinary things in amazing and unexpected places.” Then, the potential of the business continues to beckon — and Patterson loves that Spacefy is a marketplace positioned in the sharing economy, like Uber and Airbnb. When comparisons are made between these companies and Spacefy, Patterson is excited, as these are flourishing peers with similar missions. 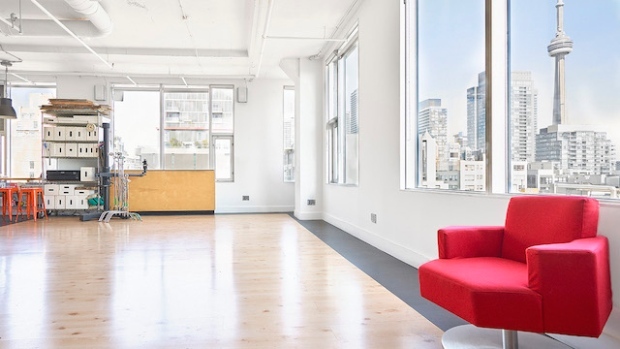 One of over 3,500 creative spaces available for rent on Spacefy. As for Spacefy's priorities this year, Patterson has a clear goal in mind — "We need to apply design thinking to keep evolving the customer experience in a way that is grounded in real business and customer insights and continue developing our inventory and begin leaning in on demand-generation in key cities." "Airbnb has led the way, and now we’re seeing numerous niche players for commercial space rentals who are doing exciting things. That’s a nice wave to be part of," he says, noting that like those companies at their roots, Spacefy was born through the idea of helping people monetize underutilized resources.